Despite what many parents think, the potential safety hazards of window coverings are not exclusive to infants and newborns. Climbing toddlers can’t resist low-standing furniture or bookcases to get a peek out the window or turning the window cord into a cowboy lasso or necklace. One wrong turn and it’s all too easy for children to wrap that window cord around him- or herself. This is a dangerous situation that can lead to accidental strangulation. Safety experts say accidents are more likely during active play of children who are three or four years old. That’s why it’s important for parents to step in early and protect their children from dangerous window areas. Luckily, this is easy to do. These items can serve as “hidden stepstools” for small children to reach a window or cord. A more foolproof plan, however, to ensure the safety of your children and pets is to install only cordless window coverings in bedrooms and play areas. This is a general recommendation from the Window Covering Safety Council (WCSC). They suggest replacing all window coverings in the home that were made before 2001. 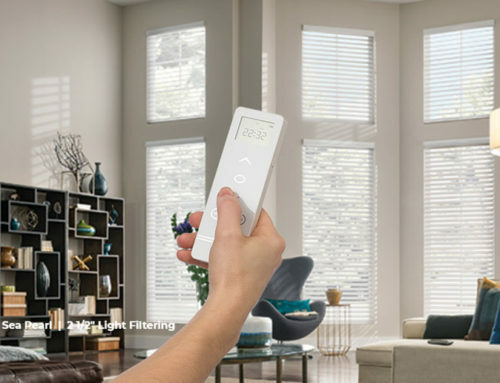 Making the switch to cordless window coverings does not necessarily mean spending more money or changing your entire interior design. There are many varieties of cordless window coverings and decorations – from spring-loaded and no pull cord horizontal blinds and pleated shades to café curtains and roller shades – are available for all types of budgets and decorating schemes. One simple solution is to install cordless window coverings in neutral colors that have a brightly patterned valence to pick up the room’s decorating scheme and color palette. With this option, parents don’t have to sacrifice style for safety. For more information on window treatment safety, contact the WCSC website at www.windowcoverings.org or call 1-800-506-4636. You can also give me a call and I’ll help evaluate your current treatments. I’ll provide recommendations on how to keep your kids and pets safe.